From most of our clients’ perspective, a day of shooting must seem a pretty foreign concept. As the Tetris blocks (cases of gear) open to unveil cameras, tripods, lighting rigs, panels, covers, microphones, and cords of all the colors and variations, the office space suddenly transforms into a film set. With our video production team as the guides, the clients are led into the unknown through the days’ schedule of shooting. We take on a responsibility as producers in leading the clients through the video production process and giving them a clear idea as to how we’re going to transform their vision into a finished product. 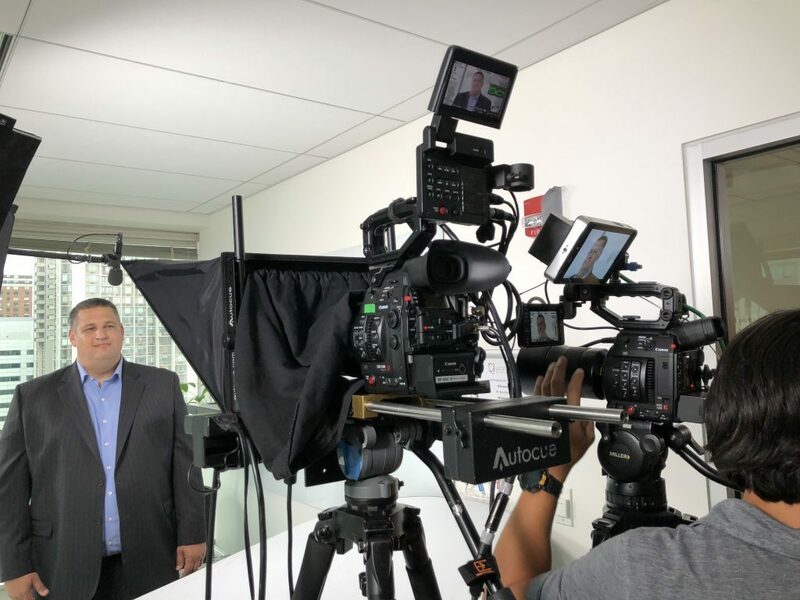 By the end of the day, we love to see the client, agent, and ourselves proud of the testimonial video, conference video or any other corporate video production we have spent the day(s) producing. At ASL, we often take on clients who don’t work with a video production team on a regular basis and are unsure of what to expect. Nontraditional video companies such as small businesses, public relations firms and branding companies need a video marketing partner to guide them through the video production process, especially the day of the shoot. 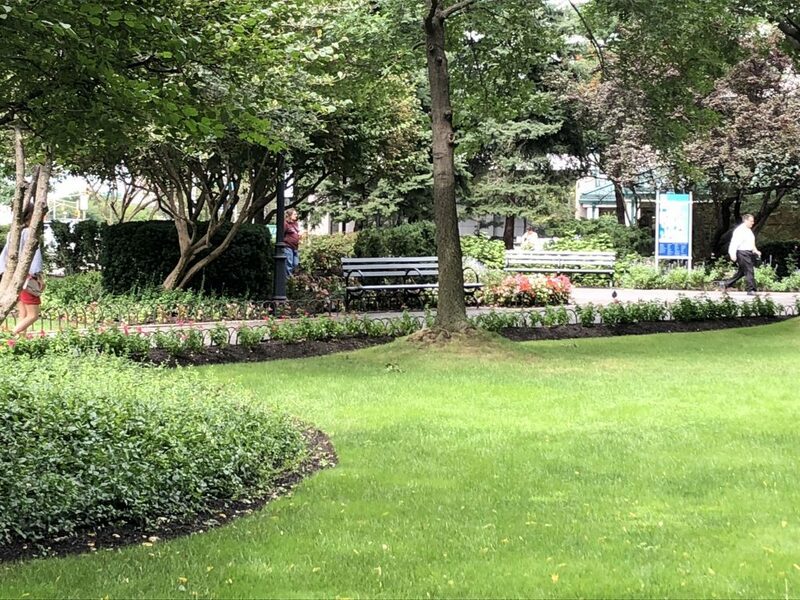 Our video shoot day guide aims at walking our readers through our corporate video production shoot from September 12, 2018. At 9:00 AM on Saturday September 12th, the ASL team finished up a game of “van packing Tetris” and headed through the Holland Tunnel to Jersey City to meet with Fahrenheit Studio and their client, a burgeoning wealth management company. The Project: The recently developed financial advisory company reached out to Fahrenheit Studio, a branding and design agency to help them create a company launch video. 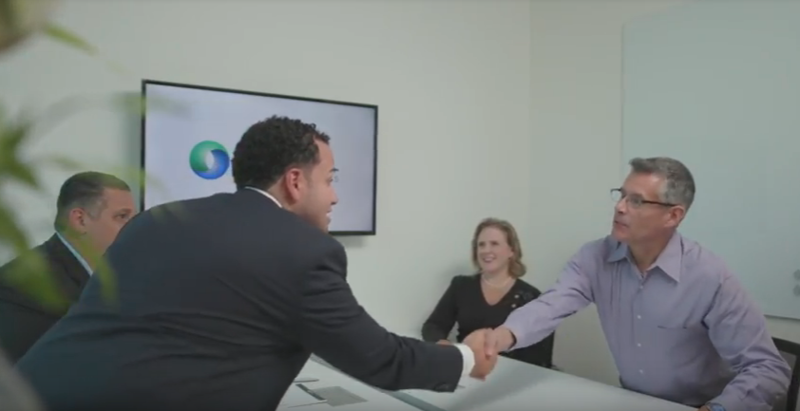 They wanted a short video to introduce themselves and share their benefits as a financial management team. Fahrenheit in turn, reached out to us and we set a shoot date. This was our first time working with Fahrenheit Studio, but we knew of their stellar reputation in the industry and their experience working with top-tier clients (Virgin Records, Warner Bros, Mattel, IBM, among others). Known for their catalogue of digital work, Fahrenheit determines just what it takes for a company build a brand in the digital space. 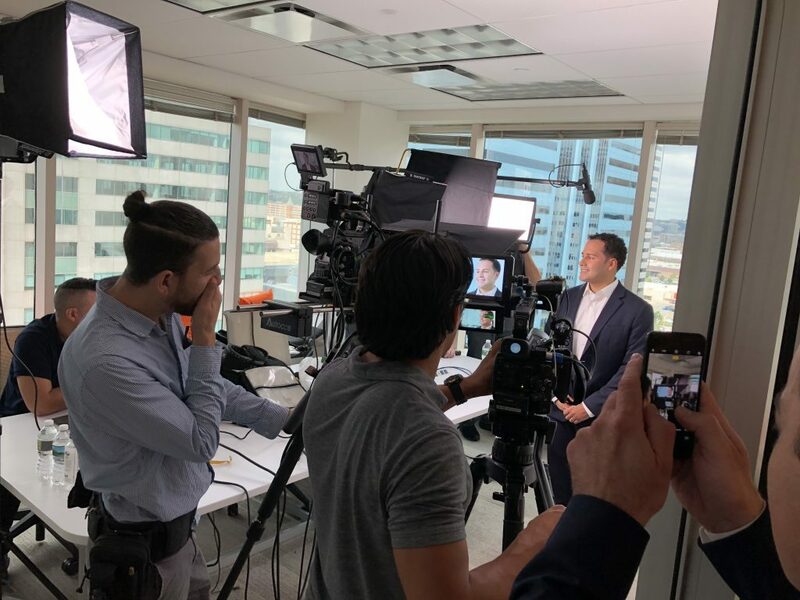 With their vision in place for the financial advisory company launch, it was our job to turn that into reality in just one day of video production. Pre-shoot Details: Before each shoot, we draw up our highly-detailed shot list as well as a daily schedule in down-to-the-minute detail, which are both always preapproved by the client. Location: Finding locations for shoots in the Internet Age has been made extremely easy with convenient websites such as WeWork, Peerspace, and Breather. Since our client’s offices were not yet completed by the time of our shoot, we set out to the web to find the perfect space in the NYC, Long Island, and Jersey City metros. For this particular shoot, we opted for a beautiful new office space in Jersey City that we found through Peerspace that fit the aesthetic and budget that we were looking for! 10:00 AM: First, all crew met at our shoot location. We then met with the contact at the office space that we were renting out via Peerspace. First, the reps from Fahrenheit came, followed shortly after by the financial team. At that point we had our video equipment built in our first setup room where talent would read from a teleprompter directly to camera. We needed to make slight adjustments and have the client’s approval of the framing before we started rolling. 10:30 AM The lights are in place, the cameras are in focus, and action is right around the corner. While Mike, our teleprompter operator, runs the scripts and our production assistant (PA) stands on the filming mark for final lighting adjustments, our producers are prepping the talent for their close-ups. 10:45 AM What appeared at first glance to be a row of cubicles is now a makeshift green room (waiting room/lounge). Mirrors are aligned on each desk as our makeup specialist and sound engineer float from desk to desk applying makeup and mics, respectively. 11:00 AM All set with makeup and sound, our talent is ready to begin the first round of filming. In our first scene to shoot in the conference room, we had 2 out of our 3 camera ops (direct and side angle), sound guy, gaffer (making sure lighting in room was proper and made adjustments with the daylight coming in) and teleprompter. We initially had LED lights and a 1.2 joker light, that ended up not working with the room. Sometimes, it’s not as easy as it looks. The script was prepared for talent on the teleprompter so that the words appear directly over the camera to give the effect of making direct eye contact. As our producer and the agency producer stand by with feedback, the talents are directed through their parts of the script. We had a “client monitor” set up so the video production team can show agency producers the frame they were filming and agency could approve of shots and give input of what they did and did not like. 11:00 AM (Simultaneously): When we started rolling, our gaffer started setting up for 2nd shots—specialty shots of each talent—while our producer was busy setting up the 3rd shots. The second shots of the day were specialty portraits, which you’ll shoot very often in corporate videos. Essentially, these are slo-mo shots where we try to capture the personality of the talent shining through. Based on the mood of the piece, we like our portrait shots to evoke strong emotions, whether they’re concerned, authoritative, or joyful. 12:15 PM It’s time for out third shot of the day as our camera op brings out his Ronin Gimbal (a camera stabilizer used for tracking shots). Shot 3 involves tracking the financial advisors walking down the hallway together. Tracking shots like this are great in corporate videos to inject a sense of action to a piece that could otherwise fall into a stationary procession of interviews and meeting shots. 1:00 PM Lunchtime Breaking after our third shots, it was time for lunch. It’s super super super important that when you cover lunch in your production budget, you always make sure that you run orders past the client first in case there are any dietary restrictions, which there oftentimes are! 1:30 PM When shooting a financial services video, what is the essential ingredient needed to add a dose of realism? Well, we hope that you guessed clients. Our video production team hired four actors to play two couples seeking financial guidance. After hair and makeup, we began filming them in several different scenes: entering the office, walking down the hallway, and consulting with the advisors in a meeting room. As we run all the possible combinations of advisors and clients, we run through our shot list, making sure that we check off shot after shot. During these shots, we had different members of production setting up the next shot so that we were ready to roll once each shot was achieved! As the day proceeds with every member doing their designated job, the set begins to resemble a beehive, buzzing with activity and efficiency in the roles being managed. 2:30 PM The Conference Room is set up for our most comprehensive shot of the day: a full group shot of the financial team gathered around the table for a meeting. In addition to the two cameras running wide shots on the group, we had close ups of hands and faces, writing, shaking hands, and talking. These little pieces of B-roll that can add so much personality to a video. 3:30 PM While all the action was going on up on the 12th floor, our PA was outside scouting locations for the outdoor shots. Once we found a good park with benches (and appropriate natural lighting), we started bringing the talent out into the fresh air for some action shots. Specialty B-roll shots were set up to allow them to get out of the office environment and lighten the tone of the video. When you’re in a corporate setting its focus is naturally going to be in an office. 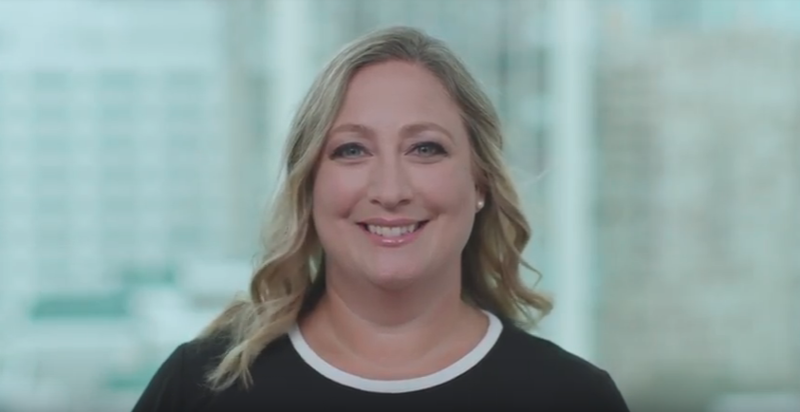 We learned quickly that our advisors were fun and outgoing people, so our video intended to make them look relatable, since a big part of their appeal is that they are out to help their clients’ lives. We nailed some awesome tracking shots of the team entering and exiting the building looking confident, determined, and energetic. In post-production, it’s the tight shots and details that will come in handy as much as the interviews. Without them, it’s not a professional video. That’s what resonates with the audience and makes a lasting final product. It’s the integrity from things like close ups of handshakes that strengthen the viewer’s impression. With the outdoor shots in the can, we called wrap. The production ended with shaking hands and saying our goodbyes to the financial team and the Fahrenheit reps, adding that in a few days, a timetable of when post-production is set to be finished by will be sent their way. As the day comes to a close in Jersey City, we pack up and make a sweep of the set to see if anything was left behind. The van is brought up to the loading dock and “Van Tetris” is once again initiated, taking no longer than 5 minutes with a good crew. By day’s end we were all lucky to have had such a smooth production day. It’s not always this easy, since in corporate video production, there are a lot of parties to please and unexpected circumstances are bound to arise. Even so, we’ve learned from our experience that if you are thoroughly prepared for the shoot and have your entire production team fulfilling their roles, the likelihood of a shaky production is greatly minimized. Oh yeah, one last especially important ingredient: communication. Where bees dance and rely on vibrations to communicate with one another, production staffs must rely on clear directions and honest feedback to run the production without bumps. At ASL, we do everything in our control to make sure our communication channels are running fluently with our client, with the talent, and within our video production team.